Sonik ZX Shore Rods. In Stock Now! Huge Savings! Sonik 2 Piece ZX Shore Rods. A ground-breaking new range of top quality shore rods that have had extensive research, development and testing with some of the UK’s leading shore match anglers. Streamlight Bandit Head Torch - Black - New - Great Stocking Filler! Streamlight Bandit Head Torch. 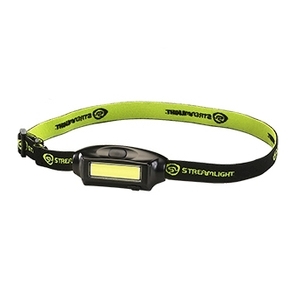 Super bright, lightweight USB rechargeable headlamp. 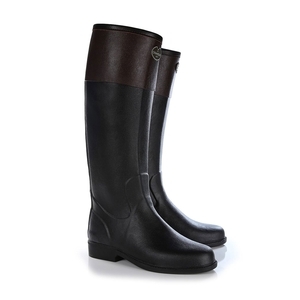 Le Chameau Andalou Wellingtons (Women's) - Noir/Marron - New - Just arrived! Le Chameau Andalou Wellingtons. The Le Chameau Andalou wellington boots have a sophisticated yet practical design which you will always rely on during countryside adventures. Crafted from natural black rubber with a contrasting brown cuff at the top, these tall wellington boots have a full length waterproof zip at the back which makes them easier to wear and feature a gripped anti-skid sole for excellent traction. 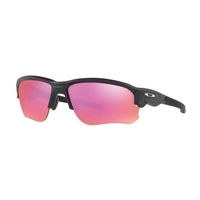 New Oakley Flak Draft - In Stock Now! Oakley Flak Draft Sunglasses. A single release trigger helps make lens changing quick and easy, and with features like integrated ventilation that fights fog buildup, this premium multi-sport sunglass is the new definition of performance. Clulite Trailblaser 4000 - New - Now In Stock! Clulite Trailblaser 4000 (inc. Red Filter). 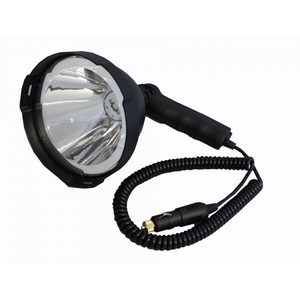 The Trailblaser uses a ground breaking single 45 watt LED light source and has a computer designed reflector fitted within an alloy housing giving a professional finish to an outstanding lamp. The beam penetrates up to 1000 meters giving sheer power at your fingertips. 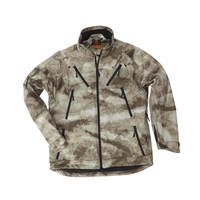 Greys Cold Weather Wading Jacket. In Stock Now! Made from 3 layer Climatex™ material this Greys Cold Weather Wading Jacket will keep you dry in the harshest of weather conditions. Ergonomically cut with features to benefit the most demanding of anglers. Cat Women's Winter Footwear - In Stock Now! 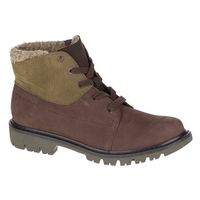 CAT Fret Fur Waterproof Ladies Casual Boots. Like a badge of honor in bold acts, this durable leather hiker boot is held in high regard. Prepare to own the city streets with the grippy outsole, comfort features and waterproof protection. The cozy sweater collar pairs well with thick, patterned socks and parkas for that layering look we love. 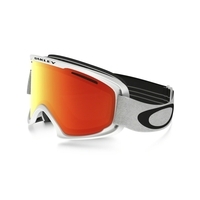 New Oakley Ski Googles - Now In Stock! Oakley O2 XM Ski Goggles. Large lens with streamlined frame geometry in a compact mid-sized fit. Oakley Airbrake XL Ski Goggles. With a less technical aesthetic and a more flush design, Airbrake™ XL was created for the consumer looking for a larger size Goggle with Switchlock™ Technology. Oakley Flight Deck XM Ski Goggles. Unrivaled field of view in a more compact mid-sized fit. NEW Real Avid Bore Boss - a compact innovative tool for cleaning the bore of your gun. Greys GTS600 Fly Reels In Stock Now! The GTS600 offers unrivalled value for money. Built from full bar stock 6061 aluminium, this reel boasts incredible strength and durability whilst maintaining an incredible light weight that feels easy and comfortable to use. 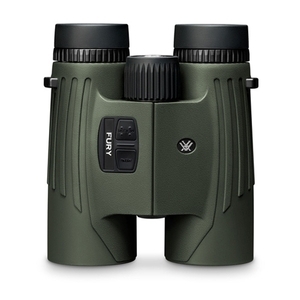 Vortex Fury 10x42 HD Rangefinder/Binocular - Just Arrived. Viper Fury 10x42 HD Rangefinder/Binocular. High quality optics and long-distance ranging capability come together in our all-new Fury™ HD 10x42 Laser Rangefinding Binocular. Convenience, speed, efficiency, and valuable dual-purpose functionality—all the advantages of a high-definition binocular perfectly paired with an angle compensated rangefinder. Right side controls are simple to use and easily manipulated with a single hand – leaving your other hand free to hold your bow, rifle, or other important piece of equipment. Seeland Hawker Shell Jacket and Trousers - New Stock Arriving Daily! Hawker Shell Jacket. Hawker jackets are designed for active people. The kit is silent and provides good camouflage in the forest environment. Hawker Shell Trousers. Made from super flex 3-layer material, allowing excellent mobility, Optimised breath-ability for active hunting, regulating body temperature, with a textured grid backing articulated cut-lines, providing athletic mobility. 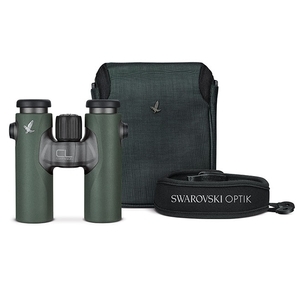 New Swarovski CL Companion 8x30 Binoculars With Wild Nature Accessory Pack - Now In Stock! New CL Companion 8x30 Binoculars With Wild Nature Acccessory Pack. You’ll never miss out with the new CL Companion. These elegant binoculars with impressive optics fit perfectly in your hand. They are always with you to ensure you make the most of every sighting. Includes Wild Nature field bag and carrying strap. Features: Wind resistant - Breathable - Water-repellant - Anti-microbial, Three-layer Hells Canyon water-resistant and ultrasilent fabric, Odorsmart treatment, Multiple storage pockets, Underarm ventilation zip, Radio pocket, Elbow pads, Rear game bag pocket, Shell: Polyester 100% + PU, Lining: Polyester 100%, colour : A-tacs AU, Polyester 100% + PU membrane. 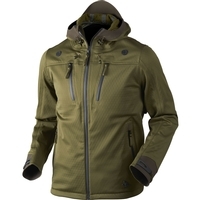 Features: Wind resistant - Breathable - Water-repellant - Anti-microbial, Three-layer Hells Canyon water-resistant and ultrasilent fabric, Odorsmart treatment, Multiple storage pockets, Knee pads, Shell: Polyester 100% + PU, Lining: Polyester 100%, colour : A-tacs AU, Shell: Polyester 100% + PU membrane. 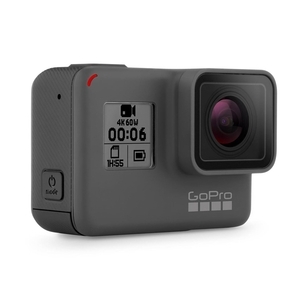 GoPro Hero 6 Action Camera Now In Stock! The biggest name in action cameras is back with its latest and best model yet. Record your most treasured moments with this GoPro HERO6 action camera. It’s ideal for those breath-taking adventures in the sea as it’s waterproof, making it the perfect travel companion. Because it shoots videos in stunning 4K quality at a rapid rate of 60 frames per second, you’ll capture every detail in beautiful clarity. The 12 megapixel camera takes epic action shots too, and it also has a time lapse feature, for filming those incredible holiday sunsets. With an LCD touchscreen, the menus are super-simple to navigate, making it really easy to use. You can even shoot RAW pictures, for higher-quality images, while WDR – wide-dynamic range – picks up more detail in darker lighting. 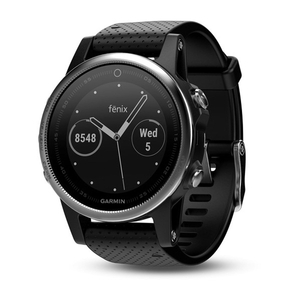 Garmin Fenix 5 GPS Watches Now In Stock! This fantastic range of GPS watches are perfect for serious athletes and adventurers who want to do more, not wear more. Garmin's premium multisport watches offer full size performance in a lighter, sleeker, more compact design. Special Offer! Quantum World Champion Surf Reel SLO 880. In Stock Now! 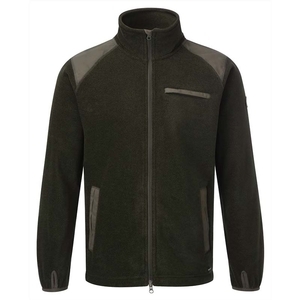 Shooterking Hunting Fleece Jacket - Olive Brown - New - Stock Arriving Daily! 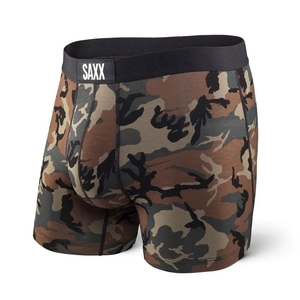 New Saxx Everyday Underwear - Vibe - Woodland Camo - In Stock Now!! Saxx Everyday Underwear - Vibe. These best-selling boxer briefs are slim-fitting for smooth layering and come in a fresh line-up of original prints and patterns every season. New Salomon Footwear - Just arrived! 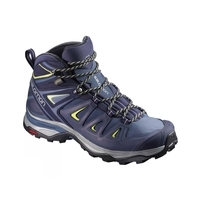 Salomon X Ultra Mid 3 GTX Walking Boots. A best seller, the X ULTRA 3 GTX® has evolved into an even more effective hiking shoe. Salomon XA PRO 3D GTX Walking Shoes. The proven, all-weather adventure shoe with GORE-TEX® offers an incredible fit, durability, and a grip that inspires confidence. Salomon Quest Winter GTX Walking Boots. For those who want to tackle the colder months head-on, the QUEST WINTER GTX® offers the full Salomon winter package: great fit, insulated warmth, GORE-TEX® waterproofing and a sole with serious grip. Salomon X Ultra Mid 3 GTX Walking Boots. Updated with sleek, athletic design details, X-Ultra Mid 3 GTX provides stability, mid-height support and the year round climate comfort of GORE-TEX. Salomon Utility Chukka TS WR Walking Boots. Practical shoes from Salomon. The material of the upper part is genuine leather - suede, fabric - fabric.